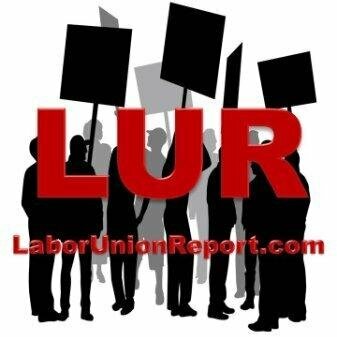 Luis Gutierrez is one of many “security risk” Congressmen and Senators exposed in Trevor Loudon’s new documentary: The Enemies Within. 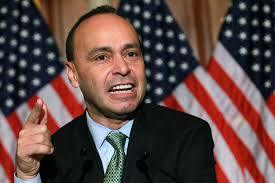 Luis Gutierrez represents the 4th district of Illinois in the US House of Representatives. He is a member of the House Judiciary Committee and until recently served on the House Intelligence Committee, which oversees all of America’s 16 intelligence gathering organizations. Gutierrez is also a member of the pro-socialist Congressional Progressive Caucus and the Cuban-tied Congressional Hispanic Caucus. 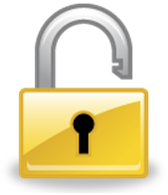 Only the fact that there are no security checks to serve on any House committee enables Gutierrez to hold any responsible position in the US government. Luis Gutierrez was born in Chicago, Illinois, on December 10, 1953 and later moved to Puerto Rico, his parent’s birthplace, before returning to Chicago to attend college. He received his Bachelor of Arts degree from Northeastern Illinois University in 1975 and then worked as a teacher, cab driver, “community activist” and a social worker for ten years. 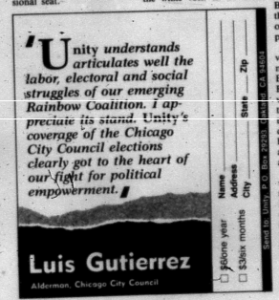 Gutierrez’s rise through Chicago local politics was enabled by his involvement with two influential pro-China communist groups, the League of Revolutionary Struggle and the Freedom Road Socialist Organization. 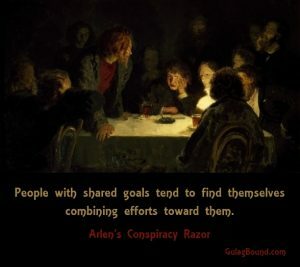 Gutierrez regularly endorsed and wrote for the League’s newspaper Unity and worked with several Freedom Road members right into recent times. 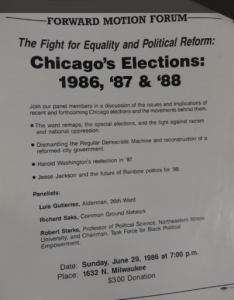 In the summer of 1986, Freedom Road’s Forward Motion magazine sponsored a forum in Chicago on electoral politics. Luis Gutierrez was a newly elected Alderman from Chicago’s overwhelmingly Puerto Rican 26th District. 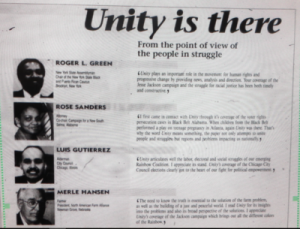 After participating in radical student politics at Northeast Illinois University, Gutierrez became involved in community housing activism in the Humboldt Park-Westown area. Chicago City Council member Luis Gutierrez was elected the first Latino to the U.S. House of Representatives from the midwest. In July of 1996, the Democratic Socialists of America Political Action Committee endorsed Luis Gutierrez, Illinois 4, in that year’s Congressional elections. Joseph Connor, an author and anti-terrorism advocate, tells how his father was murdered by a Puerto Rican terrorist group and how former Secretary of State Hillary Clinton was directly involved in pardoning the terrorists. These included Rep. Luis Gutierrez (D-IL), Rep. Nydia Velazquez (D-NY) and New York City councilman Jose Rivera, who gave Clinton “a packet on clemency” and requested that she “speak to the President and ask him to consider executive clemency” for the FALN. A couple of weeks later, clemency was granted to the terrorists and Clinton’s Senate campaign expressed support for the move so long as the terrorists renounced violence. In August 2008, the Obama Campaign announced the formation of its National Latino Advisory Council, highlighting the continued growth of support Senator Obama was receiving in the Latino community nationwide. Its members included Communist Party USA affiliated Congressman Xavier Becerra and Raul Grijalva, Congressman Gutierrez, Democratic Socialists of America member Eliseo Medina and far left Congress members Linda Sanchez, Hilda Solis and Nydia Velazquez. 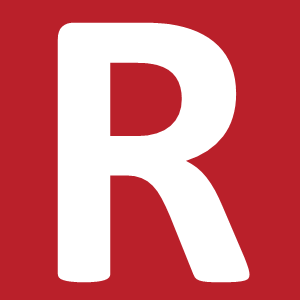 On June 25th, 2011, long time Communist Party USA affiliate Rudy Lozano, Jr. announced his second bid for State Representative, for the 21st District. Lozano’s listed endorsers included Congressman Luis V. Gutierrez, 4th District. In 2013, the Alinskyite, Democratic Socialists of America-controlled Midwest Academy gave Gutierrez its Progressive Leadership Award. In recent years, Gutierrez has grown increasingly close to Muslim Brotherhood fronts such as the Council on American Islamic Relations, or CAIR. Rep. Luis V. Gutierrez (D-IL) (September 2011). Rep. Gutierrez, addressed CAIR-Chicago’s 8th Annual Banquet, “A Future Without Bigotry” on March 3rd, 2012. I will not go into detail about the Intelligence Committee because a lot of it is secret and classified. Can you imagine the clip on Fox News? “Democratic Congressman briefs Islamic group on classified intelligence matters”…They would do a breaking news special report and it would drive the news for three days. But what I can tell you is that in my position on the House Intelligence Committee, and particularly on the Subcommittee on Terrorism, Human Intelligence, Analysis and Counterintelligence, I have worked to counter the false narrative that “Muslim” and “Terrorist” are synonyms in the English language. Gutierrez endorsed CAIR again in 2016.